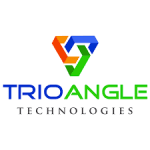 Trioangle Technologies provides web and mobile application development for clone scripts. Makent, an Airbnb clone. Spiffy, an ecommerce multi-vendor clone. Gofer, an Uber clone. Igniter, a Tinder clone. Makent Boats and Makent Cars, a boat car rental software based on an Airbnb clone, Makent Cars, car rental software, PassUP, a clone script for online classified businesses.